#7/8 Terriers will look to rebound from last weekend’s losses to Minnesota State as they begin a home-and-home series with Connecticut. 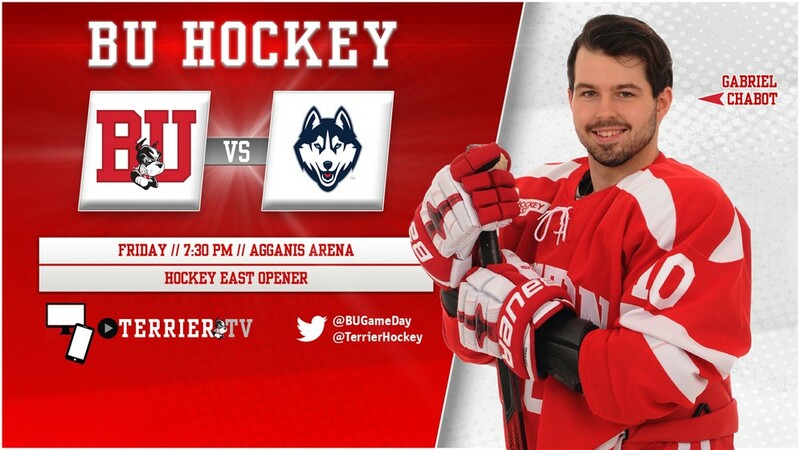 Tonight’s game at Agganis Arena, which begins at 7:30 p.m., is BU’s first Hockey East Conference contest of the year. Last season, the teams split two games with each winning on the road. BU won at the XL Center in Hartford, 2-1, on goals by Jordan Greenway and Gabriel Chabot. The next night, BU ran into a hot goalie in Adam Huska, who stopped all 37 Terrier shots in a 4-0 shutout. Like BU, the Huskies bring a 2-2-0 record into the game after winning one of two games at Maine, defeating AIC and losing to Sacred Heart. Sophomore forward Alexander Payusov leads UConn in goals with four and is tied for the points lead (5) with junior Karl El-Mir and senior Johnny Austin. Huska has started three games and has a 2.43 GAA and a .920 save percentage. ► SB Nation’s Jeff Cox offers 8 Reactions to the First 3 Weeks for Hockey East teams. ► ESPN Insider's guide to "The world's best teams for watching hockey prospects" leads off with BU. ►This Week’s Episode of Inside BU Hockey features Bernie Corbett’s interviews with Head Coach David Quinn, sophomore defenseman Chad Krys and UConn Head Coach Mike Cavanaugh. ►This week’s Hockey on Campus podcast features Bernie Corbett's interviews with US NTDP Director of Operations Scott Monaghan, NCAA Coordinator of Officials Frank Cole and Canisius Head Hockey Coach Trevor Large. It airs on NHL Radio (SiriusXMChannel 91) on Saturday morning at 8 a.m. ET and Sunday morning at 10 a.m. ET. You can also find it here on College Hockey News. 2018 or 2019 recruit Matthew Quercia assisted on both Sioux Falls goals in the Stampede’s 2-1 win against Fargo. The power forward from Andover, Massachusetts has four points in five games. 2020 recruit Drew Commesso played in the Mass Selects 16U All-Star game and gave up just one goal in a contest that ended in a 2-2 tie. 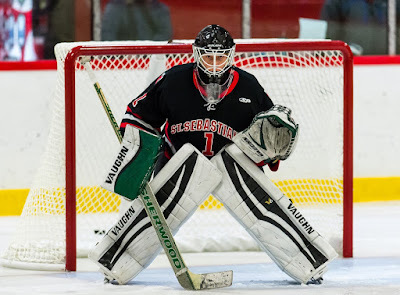 Playing for the first-place Cape Cod Whalers in the league’s Tier 1 16U Parsons Division, Commesso, who plays prep for St. Sebastian’s, has a 2-0-1 record in three games with a 1.33 GAA. Clayton Keller scored a pair of goals in Arizona's 5-4 loss to Dallas. His first, on a breakaway, tied the score at 3-3 and his second brought the Coyotes to within a goal in the final minute. Keller, who has five goals and two assists in six games, leads the Coyotes in scoring and all NHL rookies in goals. The Chesterfield, Missouri native sat down with AZ Rubber for a Q&A. Charlie McAvoy recorded his fourth assist of the season in the Bruins' 6-3 win against Vancouver. Danny O’Regan scored twice for the San Jose Barracuda—including the game-winner—and added an assist in a 5-2 win against Stockton. O’Regan, who earned the game’s first star, leads the Barracuda in scoring with a 4-2-6 line in four games. A closer look at Danny O'Regan's SWEET tap into the goal. Former All-American, Hobey Baker Award winner and co-captain of the Terriers 2009 national championship team Matt Gilroy has been named to the US National Select Team that will compete in the Deutschland Cup beginning November 10 in Augsberg, Germany. 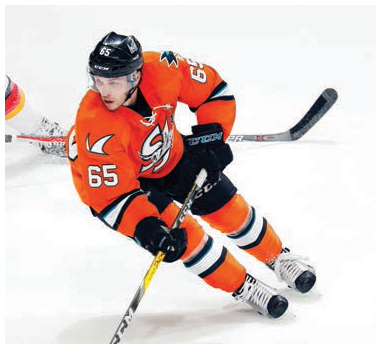 Gilroy, who is considered a likely candidate for the U.S. Olympic team that will play in the Winter Games in South Korea in February. 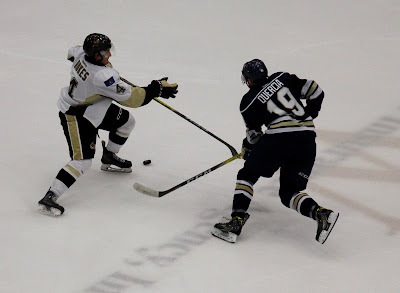 Chris Bourque, another Olympic team candidate, scored a goal and assisted on two third-period goals that tied the score, but AHL Hershey fell to Lehigh Valley, 4-3. Terriers return to action with a road trip to Maine to meet the Black Bears at Alfond Arena. Friday’s game begins at 2 p.m. BU is looking for its first win after being swept by then-#8 Northeastern two weekends ago. Despite their record, the Terriers have the top power play percentage in Division 1, scoring at 33.3%. Meanwhile the Black Bears own the fifth best penalty kill at 91.3%.